Definitely a splurge but super cool nonetheless! 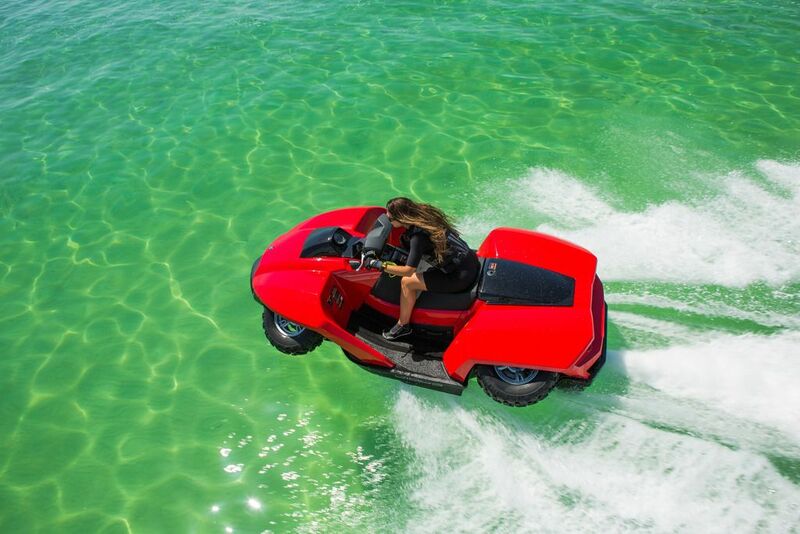 The Quadski by GIBBS is described as a “personal sports amphibian” – think ATV meets jet ski. At the push of a button, the wheels retract when entering the water and vice versa in less than five seconds, and it’s able to reach speeds of 45 mph on land and on water. It’s over and above an ATV…more like a ATWV – all terrain and water vehicle!